As all who own sheds know, summers in Perth can be harsh. They produce temperature extremes that can make a shed very uncomfortable to work with. Whether it’s a barn, storage shed, garage or industrial shed, the Perth climate can make it dangerous for work and damage its contents if not properly ventilated and insulated. The choice of materials in a shed can make a huge difference in how well it is insulated. 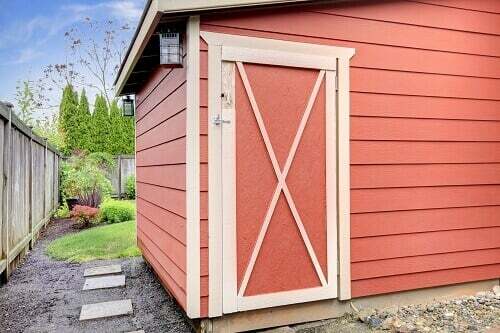 If your shed is too hot in the summer, there is a good chance that it isn’t insulated properly. While there are plenty of insulation options available, we usually don’t recommend DIY installation. Instead, we recommend calling a professional and getting an estimate. The most important factors to us, though, are the original construction of the shed, the materials used to construct the shed and the ventilation. At Action Sheds Australia, we use products made of BlueScope Steel, such as Zincalume, Ultra Zincalume and Colorbond. Once we have come up with the right design, we then erect your shed with the highest quality in both materials and labour. This ensures that there is no loss of insulation due to materials, design or quality of work. When we inspect older sheds, we often find flaws in all three of those categories. We simply don’t allow that to happen at Action Sheds Australia. The next most important factor is ventilation. Proper ventilation controls heat and humidity. It keeps fresh air flowing through your shed and provides a safe environment for you, your belongings and in the case of a barn, your crops and/or animals. Your shed is doomed without adequate ventilation. If you have any doubt about your shed being ready to protect you or your belongings from the rigors of summer, maybe it’s time for a new one from Action Sheds Australia. Call us for a no-obligation consultation today: 1300 778 628.